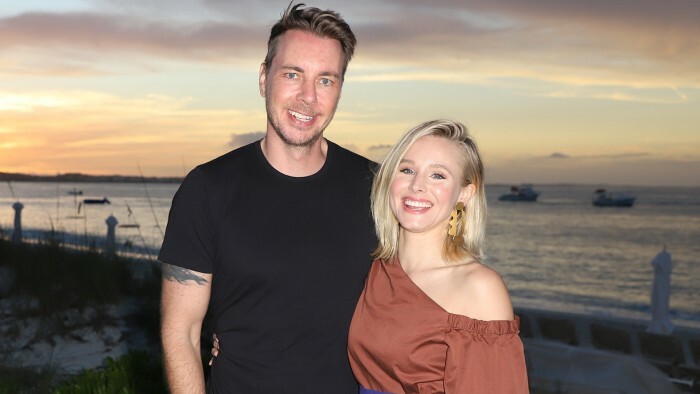 Kristen Bell and Dax Shepard are amazing parents to two adorable, growing children, but that doesn’t mean they don’t sometimes slip up when it comes to some rules around the house. For starters, they’re guilty of dropping a curse word or two in front of kids, as Bell recently revealed to E! News. “We don’t limit ourselves as much as we should at home,” she shared. But that doesn’t mean daughters Lincoln, 5, and Delta, 3, are permitted to mimic what they hear. “The way we explain it is, ‘Look, you’re 5 years old. You can’t drive my car. You can’t vote. You can’t drink alcohol. You can’t swear,'” said Bell. “The Good Place” actress, 37, and “Chips” actor, 43, began dating in 2007, and later wed in 2013. The two, who often publicly discuss the challenges of marriage (like the Great Chair War of 2017), are also candid about parenting truths and maintaining a sense of normalcy in a household managed by two stars. So, about getting their kids to swear off swearing: Does her tactic work? “So far, they’ve obliged,” said Bell. There you have it — and that’s pretty gosh-darn impressive!